A movie theatre showing NIGHT IN PARADISE starring Turhan Bey. 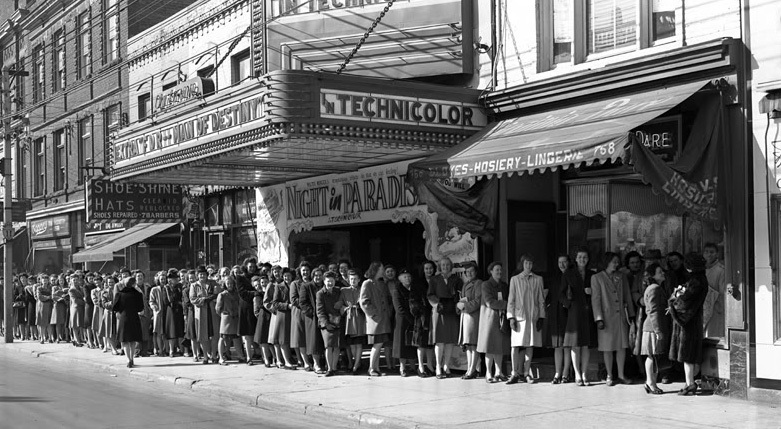 The women are not lining up for the movie but for the store next door. Cool photo.